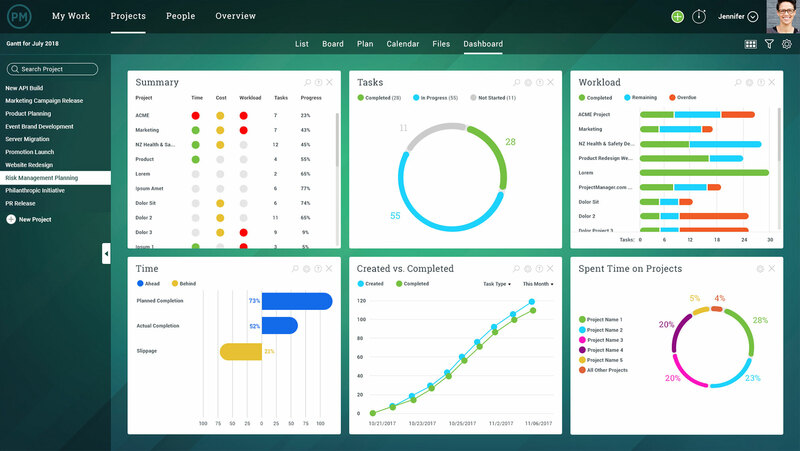 ProjectManager.com provides streamlined management tools that drive project success on your Mac. Yes, get powerful online Gantt charts, simple task lists, real-time dashboards, resource planning tools and collaboration features all in one, easy-to-use tool. 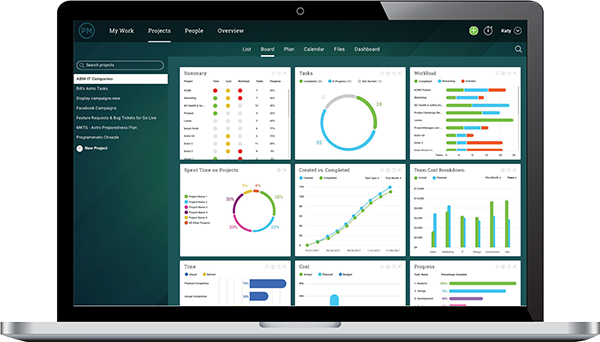 If your current project management software isn’t cutting it, then give ProjectManager.com a try. Most project managers have endured Microsoft Project. For years, it was an industry standard tool, even though it was (and is) difficult to use. Whether using MS Project for desktop or MS Project Server, the problems of the tools are legendary. The calculations are confusing and overly complex. Sharing files requires add-on tools like Sharepoint. It’s non-collaborative, meaning only PM Pros can use it. And it’s costly. MSP Desktop can cost $1200 per license. And MS Project Server, can easily start at $100k for an install. For Mac users, MS Project is a non-starter. It simply doesn’t work, leaving many looking for an alternative solution. ProjectManager.com is a powerful alternative to MSP. Our award-winning software is fully online (unlike MS Project), and is available at a price point that is actually affordable for teams. Mac users also love the easy-to-use interface and collaboration tools that allow teams anywhere in the world to work together. Plus, our iOS app for mobile phones and tablets supports on-site visits with clients, field updates, or even working on your tasks in your pajamas. See why Mac users recommend ProjectManager.com over other tools. 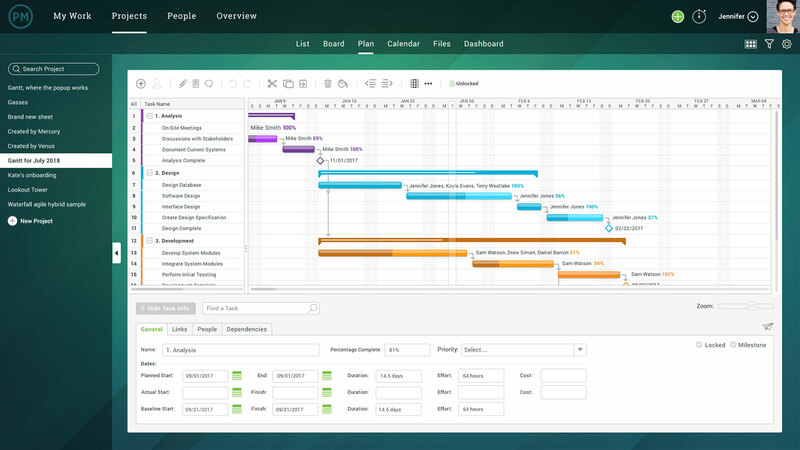 ProjectManager.com is a cloud-based project management software that exists entirely online. Manage your projects on any computer with any web browser, including Safari. As long as you have access to an internet connection, you have access to your projects. You can store all of your files in the cloud with our online file storage, so you can download, upload or view project files whenever you need to. You’ll never have to drag your work computer to the coffee shop again! ProjectManager.com also integrates simply with other Mac apps you use everyday. Our Zapier integration allows seamless data syncs with apps like Evernote, Trello and iOS chat. In fact, you can integrate with over 400+ business applications like SalesForce, Excel, QuickBooks and more! No need to abandon the tools that are critical to your workflow. ProjectManager.com also fully integrates with Microsoft Project, so you can import any Microsoft Project (.mpp or .xml) file, make your edits, then export it again without losing any data. It’s never been easier to integrate project data between programs. Our complete project management platform gives Mac users everything they need to plan, schedule, track and collaborate on projects from start to finish. Create task lists, build project plans, schedule teams, and report on your project progress — all from your mac. Our tools are used by teams globally to manage all kinds of projects, from complex engineering projects, to simple event planning projects. We know Mac users love their tools, and we think you’ll love ProjectManager.com. It’s simple to use, has an intuitive interface, and works seamlessly anywhere, anytime with your other iOS apps. For more information on how our project management tools have helped kick-off over 2 million projects, visit our software tour page. Or, see for yourself and sign up now for our free 30-day trial!